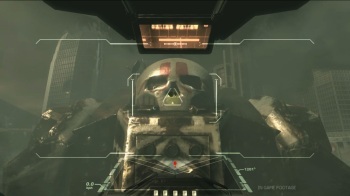 Russ Bullock of Piranha Games says the Mechwarrior reboot revealed more than two years ago is alive and kicking. Mechwarrior fans got some exciting news back in July 2009. A reboot of the classic game franchise was announced, being developed by Piranha Games in conjunction with Jordan Weisman, founder of FASA and creator of the original Battletech RPG. Set in the closing years of the Third Succession War, the game promised to bring back many of the classic mechs, like the Jenner, Warhammer and Atlas, that were lost to the franchise because of potential problems with licensing. But after that initial announcement, everything went disturbingly quiet. No trailers were released, no screens posted, not even an occasional reminder that it was still in the works made it to the surface, leading some fans to wonder if the whole thing had fallen apart. Luckily, it would seem that's not the case. "Hang in there #MechWarrior fans, but take a deep breath it may be another month or so," Piranha Games President Russ Bullock recently tweeted. Exactly what is another month or so away isn't clear but it will presumably be an update on the status of the game. He also stated in a preceding tweet that there are no licensing issues with Microsoft over the IP, "just some constraints to work within." The Mechwarrior page at the Piranha Games website, meanwhile, is offering up a few more details about the upcoming game. "Set in the traditional BattleTech world, the new game is paying homage to 25 years of history and fan dedication with a complete reboot of the MechWarrior series," it says. "Gamers will pilot a deadly BattleMech and use information warfare to dominate a dynamic-destructive urban battlefield. The game features include classic and new mechs from the BattleTech universe with persistent character development and plans for a single player campaign, as well as, co-op, and multiplayer gameplay." Here's hoping for some good news - in a month or so.